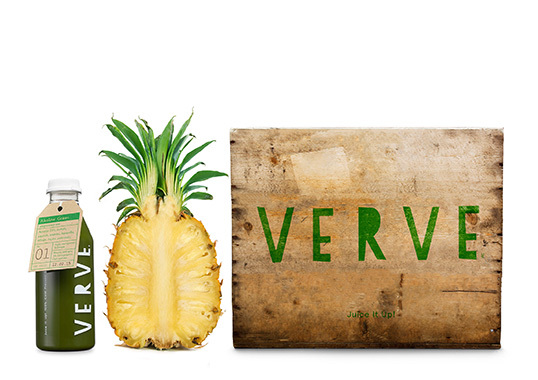 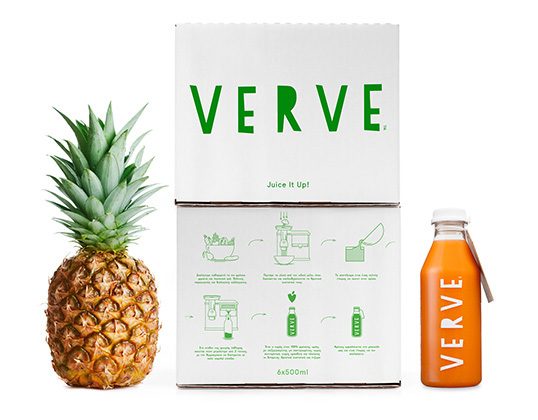 “Naming, logo design, branding and packaging for Verve, the first cold pressed juice and cleanse company in Greece, established in 2014. 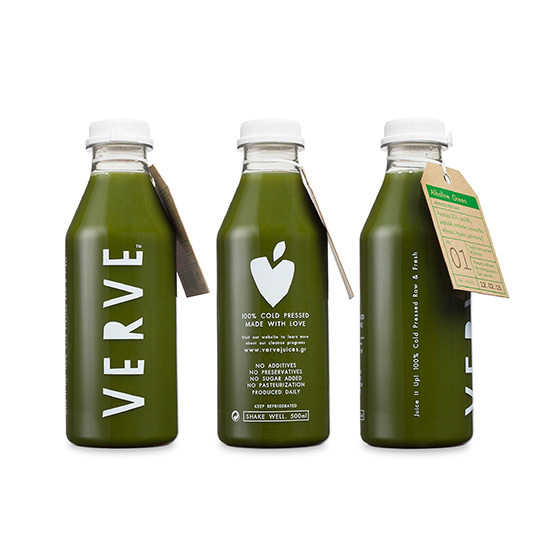 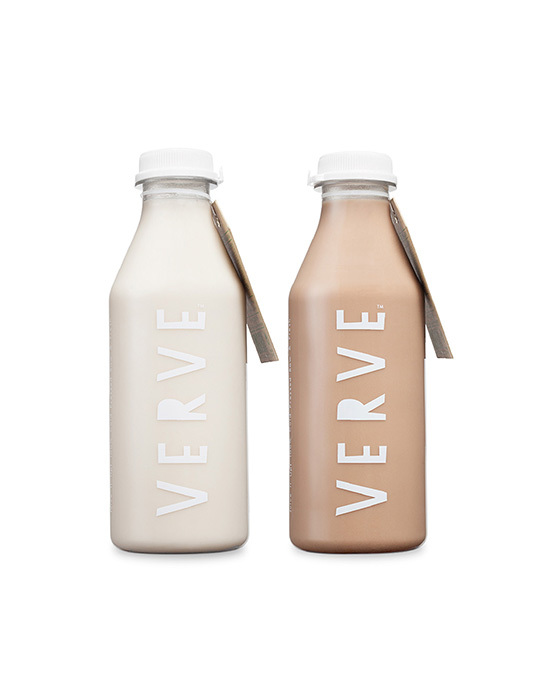 They offer a variety of 6 juices and 2 milks made with raw and fresh ingredients using only the cold pressed method. 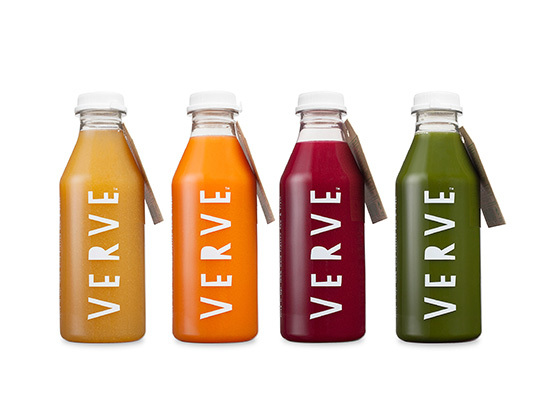 Their identity is simple and clean, using a strong logo and the vivid colors of the juices themselves, revealing the freshness and purity of the brand. 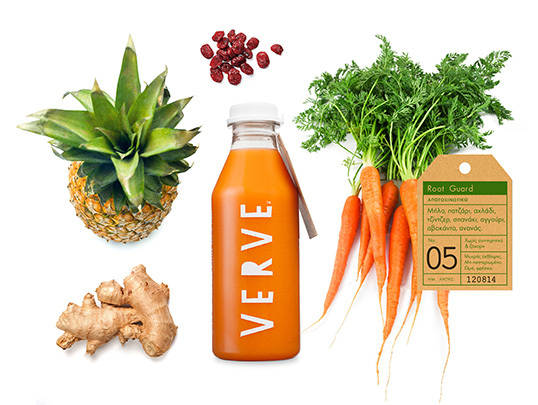 Logo typography is simple and primitive made by strong cut letters, inspired in a way on how we cut fruits and vegetables everyday at home.